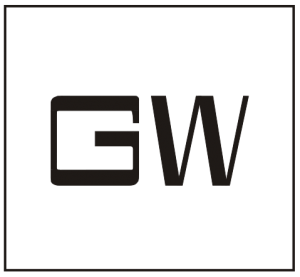 Goodwork Semiconductor Co., Ltd. (GW), founded in July 1989, is specialized in the manufacturing and exporting of rectifier diodes. With the plant area of 324,600 square feet in Shenyang, China, Goodwork monthly produces three hundred sixty million units of rectifier diodes, which makes Goodwork one of the leading manufacturers in rectifier diodes. Our product line offers a wide range selection of rectifier diodes including Schottky barrier rectifiers, super fast rectifiers, high-efficiency rectifiers, fast recovery rectifiers, silicon rectifiers, glass passive rectifiers, transient voltage suppressors, high voltage rectifiers, bridge rectifiers and Surface mount rectifiers. Through the effort of management and highly-automated production equipment in Shenyang, Goodwork has obtained the international recognized ISO-14001 certification in January 2004 and ISO/TS 16949 certification in November 2006.